When you pull up to your home do you feel your house "welcomes" you home? Does your home have curb appeal? Do you feel relaxed and comfortable in your back yard? 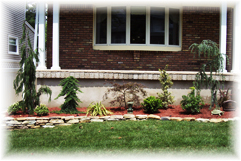 Premier Lawn & Landscape Services, Inc. can help revitalize your home with a new landscape plan. 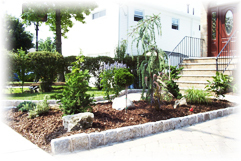 Whether you would like new shrubs, sod or a total renovation we will work with you to design a plan that fits your home, your taste and your budget. We understand many individuals do not have a comprehensive knowledge of shrub names nor their appearance. As such, we offer computer imaging so we can provide you with a visual representation of what your home will look like upon completion.